America has always, always been cast as being an overly-litigious society, meaning that we are lawsuit happy. In some ways, it’s true- a new lawsuit is supposedly born every 2 seconds in the U.S.A. On the other hand, I believe that there are some circumstances where filing a lawsuit is really the most efficient way a person can be compensated for their losses. A good example of this is when it comes to personal injury claims. Calculating the damages for property damage is relatively easy- you just simply compare market values. But when the damage is to a person’s own body, it can be difficult to tell exactly how much they have lost. This is especially true when trying to factor in the effects of a personal injury, like lost wages or future loss of earning capacity. 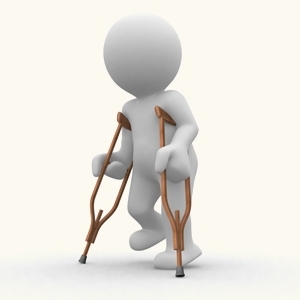 Products liability injuries account for about 7% of all personal injury cases. There are an estimated 20,000 products liability claims being filed each year. People are bound to get injured due to the sheer number of products out there- products liability claims can involve anything from unsafe medical devices to faulty toys and even some pet products. Also, products liability cases have the second-highest median (about $300,000) when it comes to damages awards. Only medical malpractice cases have a higher median for damages awards. In my opinion some people file products liability claims because they know that manufacturers tend to be where the “deep pockets” are. A common example of this is with the recent resurgence of big tobacco cases involving multi-million dollar, borderline excessive punitive damages awards. The National Safety Council reports that in 2007, slip and fall accidents accounted for the death of over 20,000 Americans, and contributed to over 7 million injuries. One of the reasons why this one is so common is that it can happen just about anywhere- the supermarket, the mall, at work, even at home. Also, the older a person is, the more susceptible they become to a slip and fall-type injury. Slip and falls can be especially damaging to the spine, neck, head, or hips. But, proving a slip and fall claim can sometimes be more difficult than for other personal injuries. It usually involves a combination of negligence and premises liability theories- you’d have to prove that the owner of the premises somehow failed to remedy a dangerous condition such as a slippery floor. Though technically included under both tort and criminal law, assault claims still account for great number of bodily injury claims each year. And even though many feel that violent crime is declining, we are still seeing an incredibly high amount of assaults every year- the Bureau of Justice recorded over 2 million simple assault cases in 2010 alone. Again, these types of personal injury claims are so common because they are widespread. They often happen in conjunction with other issues, such as domestic violence and alcohol abuse. Assault injuries are unique in that they often include a claim for emotional distress as well as physical injury. Despite “today’s economy” and the unemployment rates, work-related injuries are still near the top of this list. The Bureau of Labor Statistics recorded over 3 million non-fatal work-related injuries in 2009 and almost 5,000 fatal work injuries in 2010. Work-related injuries tend to involve repetitive stress injuries such as back injuries from lifting, neck injuries from reading, and carpal tunnel syndrome from typing too much. One thing about work-related injuries is that many of them go unreported for fear of being fired or appearing too “needy”. This means that figures may be even higher than we suspect. In some cases this fear is understandable, given the current drought of work. But, if you do have a legitimate need, don’t be afraid to bring it up with your boss. On average, there can be over 6 million car accidents yearly in the U.S. These may include injuries to drivers as well as bicyclists and pedestrians. Again, part of the cause is that we simply spend a great deal of time in our cars rather than walking. It appears that road traffic injuries may be on the rise on account of more distractions, namely, smart phone usage while driving. To those who currently have a smartphone-addiction and must drive, exercise some restraint and quarantine your phone in some unreachable spot. Your notifications can wait until you reach your wi-fi enabled destination. In my opinion, personal injury lawyers tend to have a bad rep due to the amount of unscrupulous lawsuits that are filed each year. While I believe that the court system exists to help us, that doesn’t mean that we can file frivolous lawsuits or abuse the system. Pretending you are injured is not a legitimate source of alternative income. And of course, abusing the legal system can even have criminal consequences. So while it is ok to seek legal recourse for personal injuries, just make sure that you use common sense and stay within the bounds permitted by law. And keep an eye on those filing deadlines!